Finance Minister, Arun Jaitley, said something interesting when he addressed the Digi-Dhan mela today. He said that Bill Gates told him that more than 100 Cr have mobile phones, 109 Cr have Aadhar cards, digital economy will boom in India. By generating an income for them from the routine transactions of every citizen’s day to day living. Preventing withdrawal of cash from banks by people who want to make more economical choices instead of paying commissions for every use of money. Jaitley’s direct quote of incorrect statistics allegedly provided to him by Bill Gates, that he used in order to justify the demonetisation at the Digi Dhan mela, even as all statistics of any reputable source point to the opposite. 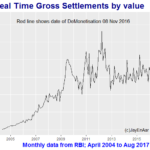 The RBI’s data even shows that while the number of card transactions at PoS has increased (out of necessity), the value of transactions has actually gone down, clearly indicating a reluctance to adopt cashless transactions more widely than what was going on naturally. While in opposition, the BJP itself has pointed out that the CIA works through the USAID programme acting through philanthropic foundations to destabilize countries. There is considerable evidence to support this that BJP were already aware of. USAID has been implicated in covert operations to support subversive activities in countries from Cuba to Pakistan and notably the backing of Al Qaeda affliated rebels in Syria recently. Ford Foundation grants have in the past preceded at least two major political upheavals in the country – the Janlokpal Andolan and the creation of the Vivekananda International Foundation (which backed it and later ran subversive slander campaigns undermining the newly emerging AAP) were both preceded by grants by the Ford Foundation to their founding members or organizations. The Jan Lokpal Andolan discredited the government then in power. The Vivekananda International Foundation masterminded the rise of the current government, discredited the Aam Aadmi Party that was on the rise and now has an extraordinary number of members appointed to government positions, including the National Security Advisor Ajit Doval, under whose “able guidance”, India’s regional foreign policy has collapsed. There are allegations that he influenced a controversial supercession in the appointment of the next Army Chief. Contributed by reader Prem A (in comments below): The conflict of interest doesn’t stop there, Dr Nachiket M. Mor is the country directory of Bill & Melinda Gates Foundation and he is also one of the directors of RBI. 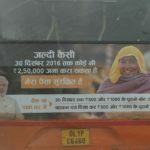 Usual sources of reliable advice and information to the government appear to have been bypassed in this apparently “well planned” demonetisation, indicating that other sources of information were likely used – the government may potentially have been misled to use information that was not in national interest. This needs investigation given the mounting damage being inflicted on the country. 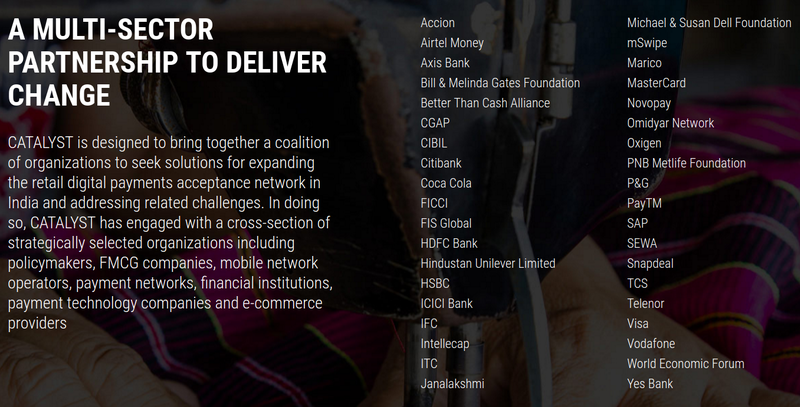 Strangely, neither the government’s joining the Better than Cash Alliance, nor the Catalyst were reported in India at all. For a government that proudly publicizes its every sneeze and hiccup that is dutifully given maximum publicity by a subservient media, if this were indeed a move that would benefit India, it is unclear why the Prime Minister would not proudly declare it. Brave article.Love it.do something concrete on ground. Bill Gates is doing his job as business development for his Organisation & USA. How can @arunjaitley act on his advise w/o looking in to India needs. @arunjaitley has failed to look #DeMonetisation from all perspective & arguing to bail out him Self. Cashless is utter nonsense thrust on non banking, illiterate citizen of India. #DigitalIndia is a slow process & many infrastructure has to be developed. 1.Broad band reach.2. Banking reach & culture 3 Education 4. security of transaction 5. Above all Indian Economy ability to with stand glitches. 6.world economy & its impact. @arunjaitley & @PMOIndia are behaving like #banana republic authority. India is the fastest growing economy inspite of world economic slow down. Any more slow down of US & China economy might reverse our growth. Cash economy has hardly any black money most of the black money is in #BenamiProperty, Realestate, unauthorised #Gold holding & #swiss&Panama banking black money deposits. Consumption economy is the only sector holding Indian economy. Now with Demonetisation it probably showed to the extent of 40% & in turn over all #GDP. Only #Freekonomics can come to rescue #Modi Govt. The conflict of interest doesn’t stop there, Dr Nachiket M. Mor is the country directory of Bill & Melinda Gates Foundation and he is also one of the directors of RBI. It’s so frustrating that no one is reporting these things in the mainstream media. Is there any way to get this information known to more people? We desperately need a popular alternate media in our country otherwise US corporate interests are going to ruin us like they have done in South America. This is basically a Deep State being created where policy is controlled by private interests and not by the organisations created by our constitution. Really troubling times ahead for India.